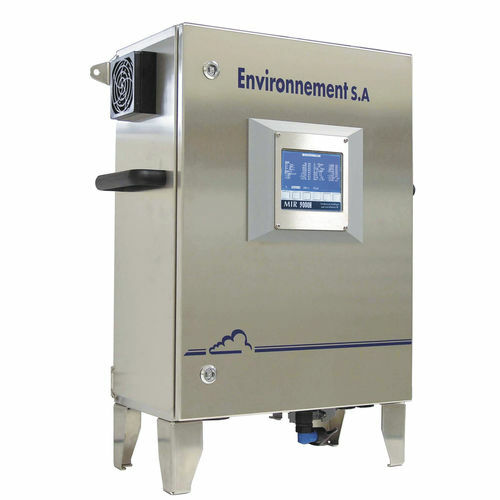 The MIR 900H from ENVEA is a heated multi-gas analyzer which uses the heated Infra-Red Gas Filter Correlation technology. The continuous stack emission monitoring gas analyzer is accessible in 2 version for the concurrent and constant measurement of CO, CO2, NO, NO2, SO2, HCl, HF and O2 in addition of the NH3 and the H2O. This device is developed specifically for the measurement of wet and corrosive samples.